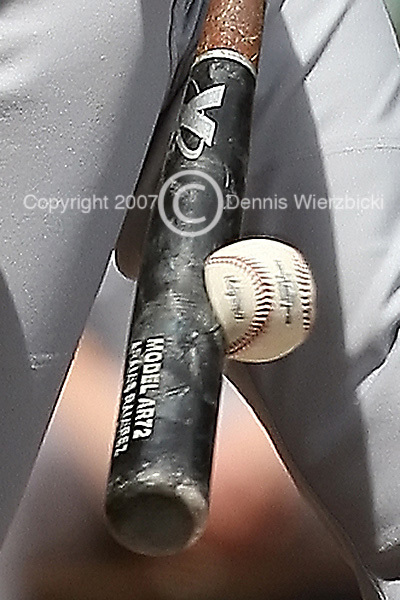 This is a close-up of the ball and bat collision from the image entitled: "Aramis Ramirez 020 6JUN07.jpg" which can be seen in this gallery at http://www.pbase.com/dmwierz45/image/80218360 . This image shows better than almost any I have taken what an amazing piece of glass the Canon EF 400 f/2.8L IS is. It was shot from the first base photo well at Miller Park in Milwaukee - a distance of about 100 feet. another sport photo of a lifetime.